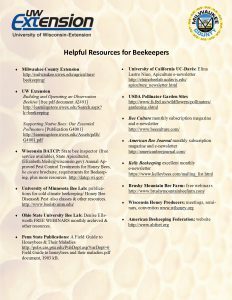 “Helpful Resources for Beekeepers” is a compiled list of pertinent, reliable, and current information sources. 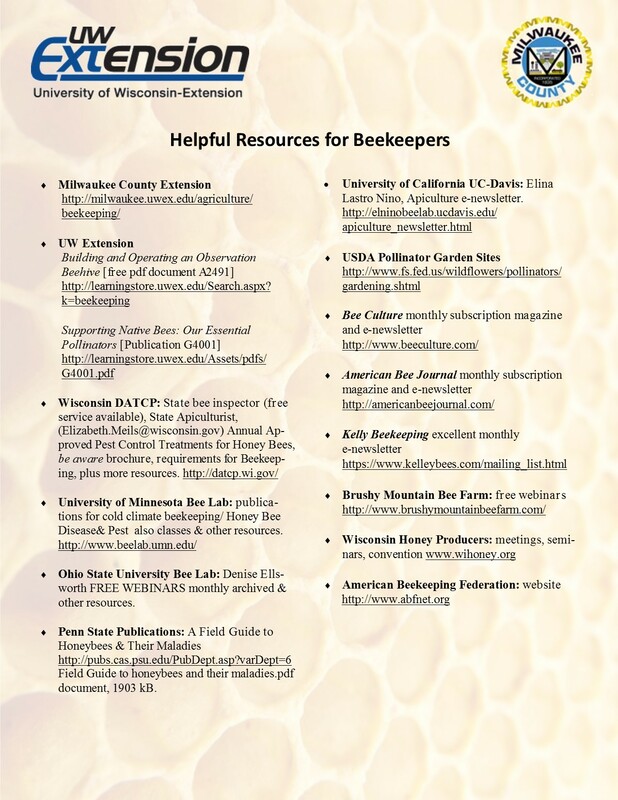 This is a document that is flexible and will change annually with new developing information to aid Beekeepers in Southeastern Wisconsin. 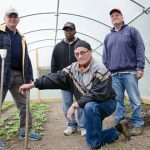 In it you can find information on resources, beekeeping associations, local beekeeping supplies, books, and more. Click here to download your copy.